This is the best challah you’ve ever tasted, period. First-time bakers and pros alike get fabulous results – try it! If you’re in a real hurry, or only want one loaf, try the breadmaker 1-lb. loaf recipe. 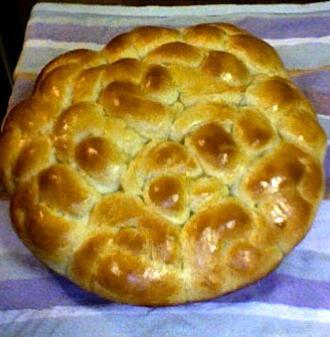 This recipe makes the equivalent of 3 large braided loaves or 4 medium ones. In a large bowl mix oil, sugar and salt. Add boiling water to large bowl and stir until all is dissolved. Sprinkle yeast into a measuring cup with 1/3 cup warm water. Wait a few minutes, then stir. Add yeast to large bowl. Add eggs to large bowl, reserving about 1 tablespoon. Add flour 1 or 2 cups at a time, mixing thoroughly after each addition. Turn out dough onto floured board and knead for 5 minutes, adding more flour as needed (but not too much). Dough is ready if it springs back after being poked with a finger. Put back into bowl, cover with dishtowel, and put in warm oven (heated to 170-200, and then turned off beforehand) until doubled – about 1 hour. Turn out onto floured board and knead for 1-2 minutes. Take one of the thirds, and knead for another minute. Form into 8-12 small “snakes” for bulkies, or 3 large snakes for braid. Make bulkies by knotting each small snake and pinching the ends together. Place bulkies close together pinched-end down in greased pan (I use Pam). For braids, pinch ends of 3 large snakes together and begin braiding. Pinch ends together when done. Place in greased round pan or loaf pan. Repeat for 2 other thirds. Put formed loaves/bulkies into oven (pre-heated and then turned off, as before) for about 45 minutes. Remove from oven. Turn oven to 350. Brush tops gently with reserved egg. Sprinkle with poppy seeds, if desired. Bake for about 30 minutes (loaves) or 20 minutes (bulkies). Times will vary. Watch for moderate browning on top, but be careful not to allow scorching on bottom. Remove from pans, and place on cooling racks. 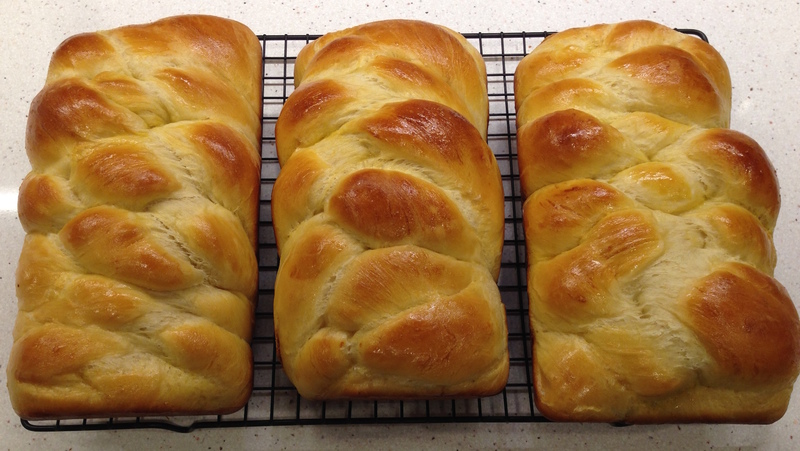 This challah freezes beautifully, so bake, and enjoy! 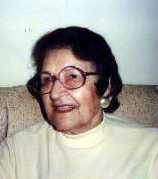 © 2019 Karen B. Kwitter's Site. All rights reserved.